The letter talks about the role of two senior bureaucrats and how they have tried to "undermine" the legislature. NEW DELHI: The BJP on Friday slammed Delhi Assembly Speaker Ram Niwas Goel for his letter to the High Court seeking withdrawal of a letter he had written alleging that a division bench of the court had passed orders against the legislature without ascertaining facts, and demanded his resignation. "The application moved by the Delhi Assembly Speaker in the Delhi High Court seeking withdrawal of the letter within a couple of days clearly shows that he knew that writing this letter is unconstitutional and anarchic," Delhi Bharatiya Janata Party (BJP) unit chief Manoj Tiwari told reporters here. Slamming Goel, the BJP leader said, "The decision to allow or deny the withdrawal of the letter is the prerogative of the court and the party will not like to comment on it." "But after this misdeed, Goel has no moral right to continue as the Speaker. He must resign," Tiwari demanded. Targetting Delhi Chief Minister Arvind Kejriwal, Tiwari said, "The AAP government should put its views on the matter before the people and Goel should be removed from the post." The BJP leader's remarks came a day after the Delhi Assembly Speaker on Thursday told the Delhi High Court that he wants to withdraw the letter he wrote to Acting Chief Justice Gita Mittal expressing agony at "developments that are purposely triggered to cripple the functioning of the Legislative Assembly". The three-page letter is now being heard as a petition. 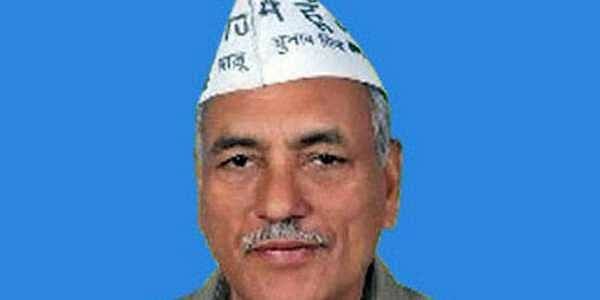 The Speaker, who is the Aam Aadmi Party legislator for Shahdara, did not name the two officials. But, as per sources, the reference is to petitions in High Court filed recently by Principal Secretary, PWD, Ashwani Kumar and Delhi Chief Secretary M.M. Kutty. Lashing out at Goel, Tiwari said, "Questions have been constantly raised on the role of the Speaker for allowing this misuse of the Assembly. But the news of the Speaker writing a letter to the Delhi High Court has shocked all. "This is an attack on the relations of two pillars of democracy -- the legislature and the judiciary," he said. Tiwari, who represents the northeast constituency of Delhi in Lok Sabha, accused the Aam Aadmi Party (AAP) and its government of constantly shaming the people of Delhi with its "anarchic" working. "AAP earlier degraded the administrative and constitutional setup of Delhi and now they have shamed the legislature and judicial setup too," he alleged. He said that for the last three years development work was at a standstill in Delhi as the Kejriwal government was busy in a power struggle with the central government and the Lt. Governor. He also accused the AAP government of misusing its absolute majority in the Delhi Assembly by bringing and approving unlawful bills.